Local naturalist and photographer, Peter Woods, recently encountered a creature on South Creek Trail in Stanley Park that most of us seldom sees; a Douglas-fir pitch moth. This moth is part of a family of moths called clearwing moths. They have transparent wings which make them quite difficult to spot in flight. They look nothing like the moths we usually see and many mimic bees and wasps quite convincingly. This is their main defense against predators and it allows them to be active during the day. 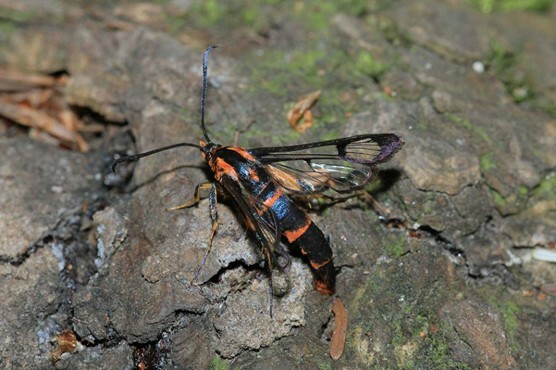 Read more about clearwing moths on page 6 of the BioBlitz edition of SPES’ Fall newsletter.